A car accident in Boston occurs numerous times every day, with most being minor property damage matters or causing slight injuries, but a substantial number result in major injuries including head trauma. Your head and brain are especially susceptible to injury in a car accident where not much force is needed for anyone to suffer a concussion or even a traumatic brain injury (TBI), which can lead to long lasting or permanent cognitive and physical problems. In cases like this, a car accident lawyer can assist you in obtaining the compensation you need and deserve. How Do Head Injuries Occur? 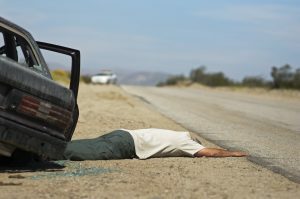 When an accident happens, your head can be thrown violently against a car window, steering wheel or windshield. If no seat belt is worn or it is faulty or an airbag fails to deploy, you could be ejected from your vehicle. In any event, your brain continues to move when your car comes to a sudden stop following a collision and is forced against the interior of your skull resulting in a contusion and possible hemorrhaging, or bleeding. The effects of the accident may not be apparent to you for hours or days following an accident. The sooner you receive treatment for a head injury, the better your chances of minimizing the chances of sustaining a life-altering condition. Those who suffer TBI may have cognitive difficulties with changes in mood, an inability to concentrate on a task for more than a few minutes, difficulty in processing information or in solving simple problems. In some cases, TBI victims may become overly impulsive and even violent. Often, TBI victims need the assistance of others to engage in daily activities, placing undue strains on relationships and leading to loss of employment and earning capacity. Auto manufacturers and designers and those who design or manufacture tires or child safety seats can be held civilly liable for your injuries as they are under a legal duty to provide you with a safe product that is free from posing an unreasonable risk of harm. 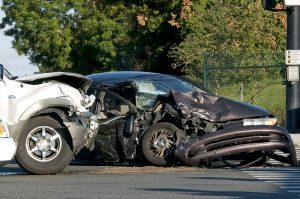 It may take a savvy Boston car accident lawyer who may suspect that other parties may be at fault for your injuries, or even the accident, and who will retain experts to examine the vehicles involved and to obtain the necessary documentation to prove liability. All cars should be crashworthy since it is entirely foreseeable that you and your vehicle will be involved in a collision. Consequently, the manufacturer and designer of a vehicle need to provide a vehicle that can withstand certain collision forces and undertake all reasonable measures to ensure that injuries are prevented or minimized. If you were injured in a car accident, you may be entitled to personal injury protection (PIP) benefits for up to $8,000 in medical bills from the insurer of the car you were in as well as 75% for any wage losses incurred along with possible replacement costs. You should check with your car accident lawyer about your PIP benefits as the law is complicated, especially if you have private insurance. A claim against the responsible parties can make up for what any medical expenses and lost wages that PIP benefits did not cover. Damages for pain and suffering, which are usually considered the highest of any damages awarded, depend on the nature and extent of your head injury, including what mental or physical impairments you sustained, if they are permanent, how they have affected your daily life and your prognosis for recovery. Head injury cases can be life-altering for the victims and their families. These cases demand that you have a car accident lawyer who understands your concerns and expectations and who can explore all possible avenues of determining which parties may be at fault and then proving their culpability. Neil Burns has been a Boston car accident lawyer for over 25 years, representing the interests and ensuring the rights of accident victims and their families. Burns and Jain has undertaken many head injury cases. Call them today for a free and confidential assessment of your head injury accident case at (617) 227-7423.